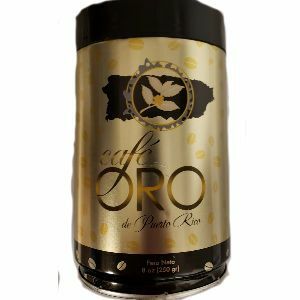 Cafe De Oro from Puerto Rico, Specialty Coffee from Puerto Rico, We carry the Largest Selection on Coffee from Puerto Rico. 100% Arabica coffee, our coffee is processed with the technology that guarantees the conservation of our resources and the good taste in the cup. Café Oro is culture and tradition of Puerto Rico.